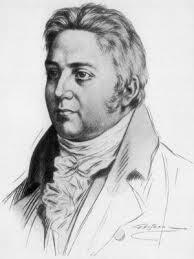 Samuel Taylor Coleridge (1772 -1834) was an English poet, literary critic and lecturer, and is considered one of the most influential poets of the Romantic period. A loner who loved to read and enjoyed writing poetry even as a child, Samuel suffered from poor health throughout his entire life—a condition not helped by his addiction to opium and his ongoing depression. His was not a happy life, but he left behind a significant legacy. An odd sort-of sonnet, speaking of the depression mentioned in the description. But "Work without Hope draws nectar in a sieve," that's a fine line.